When her husband was unfaithful and dishonest, she tried to kill him… three times. When she became severely depressed, she tried to commit suicide. When she wanted to run away from her purpose, the Lord admonished her. When she gave her life to the Lord, she received peace, marital bliss and lasting fulfillment. 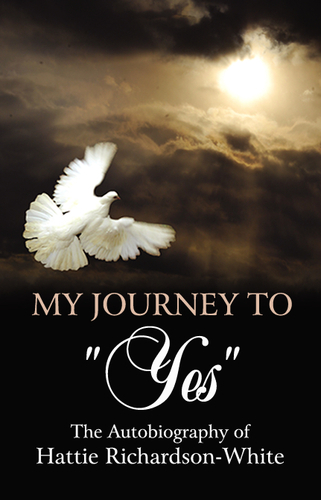 In her story, My Journey to “Yes” Hattie Richardson-White shares how she has healed from the kind of pain that only the Lord can release from one’s innermost being. Only the Lord, as your personal Savior, can provide your answers, can bring you through your most trying times, can heal you of your pain. So, when you find yourself wanting to give up, instead, cry out to the Lord. Seek Him, and He will deliver you from your worst pain and to His peace!